The delivery is pure Woody Woodpecker, all mischievous laughter and hungry intent, but the voice is unmistakably Kissy Sell Out – toxic remixer, Radio 1 DJ and now curator of the snowbombing bash, Tignes; literally one of the coolest festivals in Europe. It’s no surprise that Kissy is a freak for snowboarding. Listening to his late night Radio 1 show feels like hurtling down a glacier with a massive grin while he throws an eclectic snowball of club classics, mash-ups and rabid mixes of the likes of Bat For Lashes and Little Boots at you. Amazingly, for a show that is delivered at breakneck speed, with Kissy’s enthusiastic passion and ear for a ridiculously great tune, he never crashes and burns, leaving that for the actual boarding. They call it the toilet circuit. From Southampton Joiners to Glasgow King Tuts, these intimate and legendary venues are the bedrock of British music, daring any band with a couple of chords and a swagger of self-belief to pass through its musical sewer system. The gigging equivalent of the marine training camp in Full Metal Jacket, if your band has done its dues at the likes of Leicester Princess Charlotte and Newport TJ’s they’ll be fully prepared for all the perils of the music industry: the onslaught of a jaded music journalist or even an inappropriate support slot with the Feeling. Of course, few make the grade, but of the bands that do always be suspicious when you hear their fond memories of “those slender times that made us the band we are”; chances are they’re saying it while chugging away at a bottle of Moët and whiling away the hours before stage-time in a dressing room the size of Coventry Cathedral. Full marks then to urban perennials the Rakes, who having finished recording their third album Klang (released on 23 March) in Berlin have dived gleefully head-first back in to the cavernous cellars and Public House back-rooms of the UK and are seemingly revelling in the experience. By culture and temperature alone, L.A. is a different world to the weaving urban sprawl of Bristol, the city in the West of England that pokes through Portishead’s sullen sound as much as the stark beats and introspective voice of singer Beth Gibbons. If L.A. is palm trees, Harleys and silicone, then Bristol is closer to the kind of unsettled dimly-lit streets and dark alleys that the Specials drive down in their video for “Ghost Town”. Geoff Barrow clearly notices the difference. Named after the Bristol satellite town he grew up in, Portishead emerged in the mid-nineties with Dummy, a startling debut that bucked the prevailing trend of outward-looking Britpop with an inward-looking melancholy of scorched-Earth pop. Blending slow-motion hip-hop grooves, old-school scratches, mournful soundtrack samples and Beth Gibbon’s tormented lyrics, Dummy went on to sell four million records worldwide, inadvertently creating the trip-hop sub-genre and providing the soundtrack for countless dinner parties along the way. Their self-titled follow-up went further against the grain, upping the mournful overtones as well as the underlying sense of paranoia, but it still sold healthily. 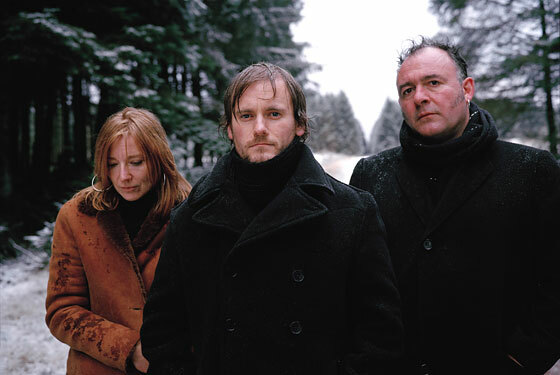 The subsequent ten years then have been for Portishead their own kind of wilderness, the kind their music often evokes. Burn-out, divorce, and dismay at how their music had been received at times, all played a part, while Barrow even speaks of turning his back on creating music at one point. And then midway through 2007, while many were still doubting another Portishead record, All Tomorrows Parties – the innovative UK festival promoter – announced that Portishead would curate their A Nightmare Before Christmas event. One look at the line-up, a bill that included drone metal, experimental electronica and Balkan folk, suggested that once they did return, maybe it would be worth the wait after all. We could all relax. In an age of instant Internet gratification, it’s hard to believe that times used to be tough for pop fans. Before broadband afforded us access to a thousand blogs continually updating us in real-time with the progress of Madonna’s latest raid on the orphanages of Africa, any self-respecting music fan would actually have to leave their comfy bedrooms and attend the real world once a week for their fix of pop gossip. The music press used to look so attractive back then. You’d eye the pages with glee, ready for them to reveal their secrets – Thurston Moore’s noise-core picks; Morrissey’s latest rant – and even though some of the trivia could be pretty droll it felt you were a little closer to your heroes as a result. All that wonder and intrigue in the days in between left you craving those juicy little facts; snippets of the lives of people so far away from your world. And pop stars used to seem bigger and more mysterious for it. Yet here we are, two thousand and nine, the Perez Hilton generation, suckling on the Tweets of a popstar’s every move and living the digital equivalent of the old upper classes: clicking our fingers and demanding our mp3 snacks are fetched immediately by our Hype Machine and Last.fm butlers. It may be wonderful having your culture at your every beck and call but don’t your pop icons lose some of their mystery when they arrive in .rar format, freshly leaked a month ahead of their release date, rather than wrapped up in a gatefold sleeve after running to Woolworths after school? So how do you appear as fresh and relevant in 2009 yet still convey that crucial sense of mystique? Well, if you’re Tiga you passionately embrace all the possibilities of Web 2.0 but ensure they work with, not against you. Three years after letting his killer debut, Sexor, slip out and become a word-of mouth electro classic, Tiga has returned with Ciao – and practically set pulses racing by inviting the likes of Soulwax and James Murphy along for the ride. Interestingly, he’s thrown away the rule book of deploying advance promos and seeing 15 months of hard work end up on a torrent site months before its release, instead issuing top-secret directions to the wonderful “Tiga Introduces..” podcast, where he guides the listener through each intoxicating track in his own idiosyncratic way. Subverting the now so deliciously is classic Tiga. It’s a surprise then that none of this carefully-executed approach has slipped into his music. “I don’t think there’s anything about Ciao I made as a reaction [to the times],” states Tiga as he finishes a well-earned cinnamon bun after a long day of promotion in London. “You know, I kinda make the music I like at the time. But the strategies surrounding Ciao, I think how people deal with music now and how you release your music, I mean everything that goes into and around it has changed a lot. When even pop behemoths like U2 have recently suffered their hard work leaking ahead of its release, Tiga’s stubborn strategy should be admired – weeks from its revealing and the Internet remains a strict Ciao-free zone. And all the better for it. The follow-up to Sexor is a tantalising dip into the world of Tiga. Part pulsating, glamorous electro – full of gorgeous, preening funk and glitz – and part full-on club masterpiece, it’s a ready made dance classic that will be all the better for the world to discover collectively. What’s more it perfectly conveys the fascinating two sides of Tiga – and reveals him as the perfect enigma for our times. He is the electro wonderboy after all, the electroclash pin-up that took that genre to its peak with the success of ‘Sunglasses at Night’ and his luscious re-work of Nelly’s ‘Hot in Here’, before riding out its inevitable implosion, releasing Sexor and becoming the super-hot DJ he is today. But while the self-confessed “avidshopper” cuts an ever so dashing figure in photos and videos, he knowingly contradicts the glamour by hiding behind an unassuming baseball cap while delivering his acclaimed DJ sets. And while he swoons over “shoes, hair and gloves” on new single ‘Shoes’, he’ll Twitter with impressive football knowledge on Liverpool’s Champions League game with Real Madrid. The recent excellent Soulwax film, Part of the Weekend Never Dies, comments on how, while artists like Justice, Soulwax, Tiga, Erol Alkan and LCD Soundsystem are from very different parts of the world the scene they’ve forged seems so tiny in comparison when they’re together, and as a result they’ve become such a tight bunch of friends. Tiga finds the bond that has developed between everyone exceptionally special. 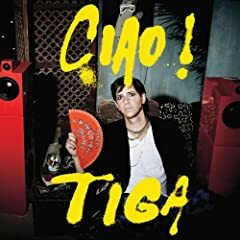 Ciao concludes with the sublime ‘Love Don’t Dance Here Anymore’, an “autobiographical song of the end of the career of a disc jockey” written by Tiga and Gonzales. It’s always possible you might hear another twelve minute disco epic this year that begins with a soothing two-and-half-minute piano intro before building into such a heartfelt rush you’ll want to embrace your speakers and dance around the room with them. But it’s unlikely. ‘Love Don’t Dance Here Anymore’ is so full of intoxicating grace, it’s almost as Tiga and Gonzales brought it into the world purely to soundtrack the sun-blessed crescendos of all night raves. Erol Alkan recently predicted the summer of 2009 is going to be the third Summer of Love. If he’s right, then this could be the track you hear as the joyous screams go out at sunrise, from Glastonbury to Benicassim. Say goodbye to early nights and say hello to the summer. Ciao!